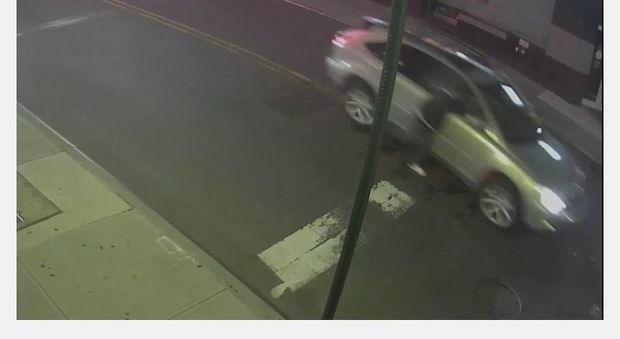 FLUSHING — A thief hung out the window of a livery cab he was robbing as the driver tried to speed away, NYPD officials said Thursday. The 47-year-old cab driver was sitting in his SUV outside 39-16 Prince St., when three men came up and demanded he give them a ride about 1:45 a.m. on Sept. 15, police said. When the driver refused, one suspect opened the vehicle's passenger door and punched him in the face before taking his cellphone and approximately $20, police said. The driver then put his foot on the gas as the suspect dangled from his open window, which can be seen in police footage released Thursday. The suspect eventually let go of the vehicle and fled with the other men, police said. The trio, who are all about 20, hadn't been arrested as of Friday morning, police said. The driver was treated at New York-Presbyterian/Queens. One suspect was last seen wearing a red baseball cap, a black shirt and red pants. Police didn't describe the other two.